This past Saturday, my grandpa would’ve turned 81. He’s been gone for almost nine years now, but he still has a message that needs to be heard. Jerry Neuhart was born in 1937 to Hilda and Frank, in the beautiful rolling hills of Southeastern Ohio. He grew up in the small town of Senecaville and learned about life from the perspective of a farmer – working horses, milking cows, and feeding chickens. He was one of six boys and three girls. He loved hard work and valued earning a living by the sweat of his brow. He was a man’s man and was drawn to the head-turning, full throttle cars of the fifties and sixties. He could be found on “the strip,” drag racing in his free time. He married Carol Jean Beggs in 1959, and they had three kids Jodie, Tommy, and Bradley. Life was moving along as normal until God brought the gospel message across their paths in the mid-1970s. Grandpa said, “When I first heard Glenn Thorn tell me [the gospel] I knew that’s what I needed.” And God gave him and Grandma faith to believe it. Their lives changed pretty radically. They started going to Roadfork Baptist Church where an eager young man, fresh out of Bible college, had just taken the pastorate. Pastor Tim Valentine took Grandpa under his wing and faithfully fed him God’s Word. And Grandpa grew. He and Grandma caught a vision for God’s mission when Pastor Tim and Becky moved on to plant a church. 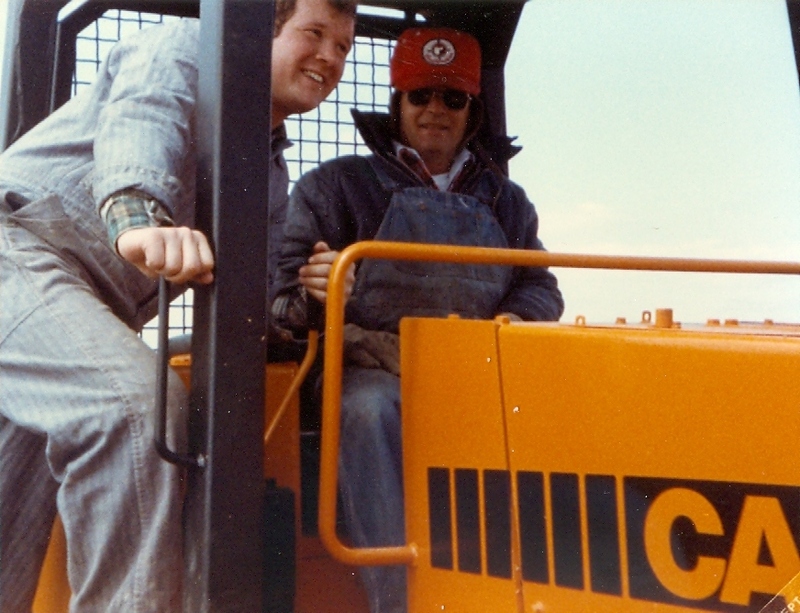 Grandpa made the long drives to New Hampshire from Ohio and back to help excavate the land and get it ready for the building process. They prayerfully considered relocating to be part of this new church with the Valentines, but God had other plans for them. Eventually, they ended up going to a church in Woodsfield, Ohio, about an hour from where they lived in Senecaville. The long drive didn’t hinder their involvement. They were a significant part of that ministry as well. So much so, they both agreed Grandma would volunteer her time and teach Kindergarten at the church’s Christian School. This was no small sacrifice considering the distance. But they followed God’s call. They weren’t aware that shortly after making this decision, part of His call would be one of the hardest calls Grandpa would ever receive. It came December 13, 1985. The snowy roads were slippery that day as Grandma was driving home from school. She hit some ice and lost control of the car killing her, his wife of over 25-years, and Brienne, his sweet 5-year-old granddaughter, who was in Grandma’s Kindergarten class. Grandpa got the shocking call from the police that evening. The years of pain, processing this life-changing tragedy had begun. And it did take years. The questions, the doubts, the anger, the what-ifs, and the brutal realization of sudden separation. These are almost more than the human heart can take apart from the grace of God. 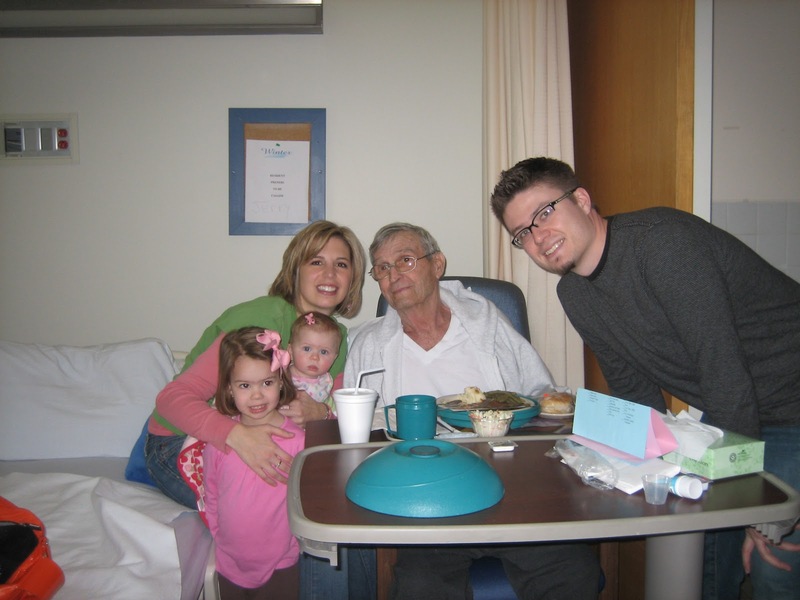 In late 2008, Grandpa began experiencing some physical symptoms which lead to a series of diagnoses, ultimately landing him in the hospital with metastatic brain cancer. In January of 2009 from his hospital bed, he was ready to talk about the trials of the last couple decades. He said to me, “I’ve learned you can’t whip God. I’ve tried [these past years], but you can’t whip Him.” He assured me of his continued but tested faith in the gospel. God still had a strong grip on him through it all! The last few months of his life were a struggle as cancer ravaged his once strong body. It was difficult to watch. But he had surrendered to God’s sovereign, loving hand and his soul found peace. God comforted him those last months with precious promises from His Word. My mom read Scripture to him. One night, though he barely had the energy to speak anymore, he starting quoting the beginning of John 14 while my mom read it aloud. I don’t know where you might be in your processing of the heartbreaking trials and unthinkable tragedies of life. Life in this fallen, sin-cursed world is never easy. But for some, the cross God calls them to bear is especially heavy. 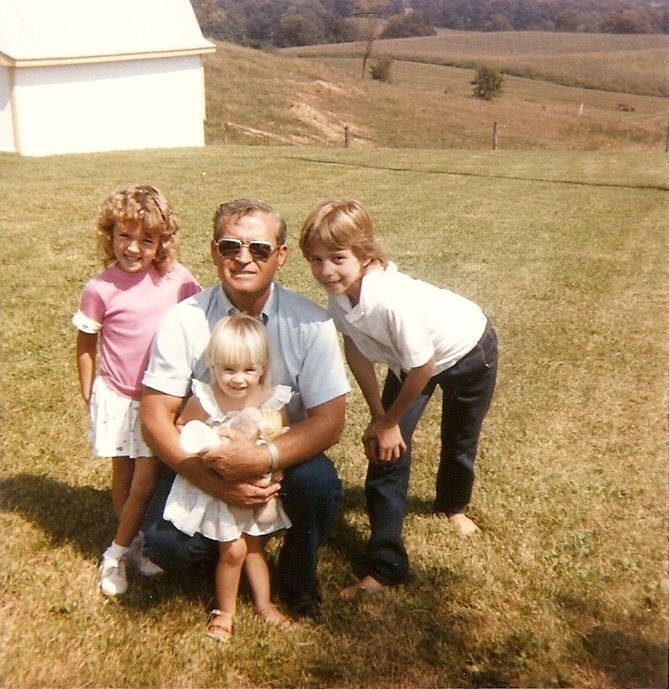 My grandpa who walked that hard, trial-laden path has words of rest for you, “You can’t whip Him.” So trust Him. Surrender to His sovereign plan. You will find Him to be more kind and loving than you could ever imagine. You might not have all your questions answered, but He will give just what you do need to get through – His peace, His presence, and, most of all, the comforting hope provided in His Word.